Nashville Gear Factory’s collection of used guitars online is captivating. There are both used acoustic and electric guitars for sale, featuring incredible pieces. Generally speaking, we can keep this answer simple by stating that we sell acoustic and electric guitars. Most of them are second-hand musical instruments, but we do have a new one thrown in every now and again. We tend to focus on used high-end electric and acoustic guitars because we believe in the fundamental relevance of guitars in music. We are not ashamed; in fact, we started this company to justify our collection habits - and it’s working! We get to share our love for these incredible instruments with those who cherish them alongside us. These collectible used guitars are in awesome, excellent, or mint condition and come with a case (in almost all purchases). Moreover, the prices are affordable for the guitar you’ll receive. At Nashville Gear Factory, we are not currently selling any used guitars for more than $2,000 because passing on the incredible piece is more than just making a few bucks. 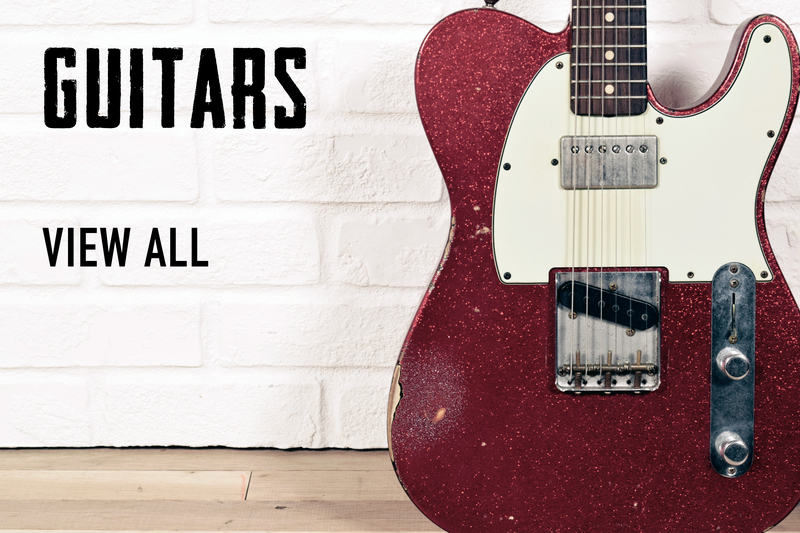 If you, too, are an avid collector and are looking to get a little bit of cash for an awesome guitar you have hiding in the closet, please connect with us online because we will buy your instrument from you. Buying and selling used guitars online helps bring our musical collection to the 21st Century. We are proud to work with you to prolong the use of your guitar and share it with the world.